In 2015, the Chrysler 200 underwent a complete overhaul and became one of the brands best selling American luxury sedans. 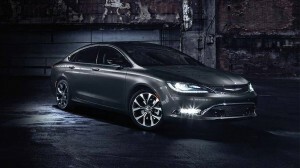 Learn more about the 2016 Chrysler 200 in this review from Edmunds.com. After a complete redesign for 2015, the 2016 Chrysler 200 gets a few tweaks, including firmer front seats and a new 90th Anniversary package. Additionally, a rearview camera is now offered on the Limited model. Coming off a full redesign last year, the 2016 Chrysler 200 is definitely the brand’s best midsize sedan yet. Gone is the previous car’s fuddy-duddy persona, and in its place is a smooth, elegant look that allows the car to stand out in the midsize sedan segment without going over the top with trendy details. Inside, high-class materials form a design that is artful and elegant, with a “floating” center console upon which are perched the rotary knob shifter and climate controls. The 200’s cabin is not just easy on the eyes, it’s also easy to use — Chrysler’s big 8.4-inch Uconnect touchscreen system is one of our favorites. It’s more of a mixed bag under the hood, though. The base four-cylinder’s performance is a bit pokey compared to other midsize cars, which is unfortunate, since that’s going to be the majority of what people buy. But we like the optional 3.6-liter V6 engine. It packs an impressive punch, and it can be combined with all-wheel drive to not only enhance winter traction but give the 200 (especially the sporty S model) an athletic handling edge. 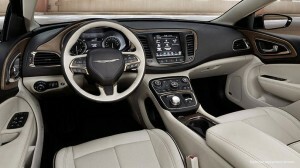 The Chrysler 200 does come up short on interior room compared to other midsize cars. You’ll notice this most in the rear. There is just enough space to accommodate 6-footers, but the swoopy roof line impacts headroom and ease of access, and the 200 lacks the stretch-out leg space of bigger competitors. Also, there are still a couple areas where the 200 would benefit from some improvement, such as an overly firm ride quality at times and less-than-ideal outward visibility. The midsize sedan segment is hugely popular, and there are a lot of excellent competing vehicles to investigate. Among our favorites is the Honda Accord. It provides great fuel economy, strong performance and a limousine-like backseat. 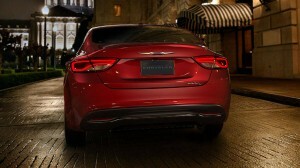 If you love to drive, you’ll want to check out the Mazda 6, the most athletic of midsize sedans. There’s also the Ford Fusion, which offers eye-catching styling and, like the 200, an all-wheel-drive option. Truth be told, the 2016 Chrysler 200 struggles to break out from the pack here, at least in terms of objective measures. But if you like the way the 200 looks, there’s more than enough good here to warrant a purchase. 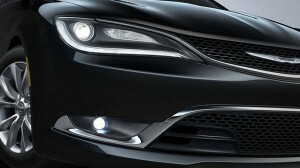 The 2016 Chrysler 200 is a five-passenger midsize sedan that comes in four trim levels: LX, Limited, S and C.
Standard equipment on the base LX includes 17-inch steel wheels, keyless ignition and entry, air-conditioning, cruise control, automatic headlights, a tilt-and-telescoping steering wheel, manually height-adjustable front seats, a 60/40-split folding rear seat and a four-speaker sound system with a USB interface and an auxiliary audio jack. AUconnect option package provides Bluetooth phone and audio connectivity and a 5-inch touchscreen display for the audio system. Next up is the 200 Limited, which has all of the features found in the LX with the Uconnect package along with alloy wheels, a rearview camera, a compass and a six-speaker sound system. The Limited trim is also available with more options. Go with the Convenience Group to get heated mirrors, an eight-way power driver seat (with four-way power lumbar), a leather-wrapped steering wheel and satellite radio. A sunroof and 18-inch wheels are also available. New for 2016 (and exclusive to the Limited model) is a 90th Anniversary Edition option package, which adds the contents of the Convenience Group, special floor mats, the sunroof and the Uconnect 8.4-inch touchscreen package (see below). The S is the sporty flavor of 200, and it comes standard with all of the Limited’s equipment plus a sport-tuned suspension, 18-inch wheels, foglights, heated mirrors, acoustic windshield and front-door glass (for a quieter cabin), a leather-wrapped steering wheel with paddle shifters, satellite radio, cloth/leather sport front seats, an eight-way power driver seat (with four-way power lumbar) and upgraded interior trim. Optional on the Limited and S is the Comfort Group package, which includes dual-zone automatic climate control, heated front seats, a heated steering wheel (S only), an auto-dimming rearview mirror, remote engine start and rear air ducts. Also optional is the Uconnect 8.4-inch touchscreen package that also includes an upgraded instrument panel (S only), smartphone app integration (Uconnect Access) and satellite radio. At the top of the line is the luxury-themed 200C. It includes all the 200S’s standard amenities and the contents of its Comfort Group and Uconnect 8.4 packages, but reverts to the Limited’s softer suspension setup and 17-inch wheels (18s on all-wheel-drive models). It also features standard leather upholstery and a six-way power front passenger seat. An optional Premium Group package for the 200C adds a 115-volt power outlet, driver memory settings and upgraded upholstery and trim. Optional for the 200S and C is the Navigation and Sound Group that provides the 8.4-inch touchscreen setup plus a navigation system and an upgraded nine-speaker sound system. Also available for the S and C are xenon headlights, 19-inch wheels, a dual-pane panoramic sunroof and ventilated front seats. A SafetyTec package for the C adds adaptive cruise control, automatic wipers, automatic high-beam headlight control, an automated parking system (parallel and perpendicular) and additional safety features (see Safety below). The 2016 Chrysler 200 comes standard with a 2.4-liter four-cylinder engine rated at 184 horsepower and 173 pound-feet of torque. Optional on the Limited, S and C trims is a 3.6-liter V6 engine that makes 295 hp and 262 lb-ft of torque. Both engines come with a nine-speed automatic transmission (with steering-wheel-mounted paddle shifters on the 200S). 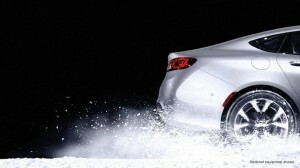 Front-wheel drive is standard, and all-wheel drive is optional with the V6. In addition, the V6 also features a Sport mode that sharpens up engine and transmission responses and provides slightly heavier steering effort. On models with all-wheel drive, Sport mode biases power output to the rear by sending 60 percent of the engine’s torque to the rear axle. In Edmunds testing, a Chrysler 200S with all-wheel drive sprinted from zero to 60 mph in just 6.2 seconds, making it among the quickest V6-powered family sedans, in lockstep with Honda, Nissan and Toyota. Powered by the four-cylinder engine, however, a 200 Limited required 9.0 seconds to reach 60 mph, which is slower than the average by nearly a full second. 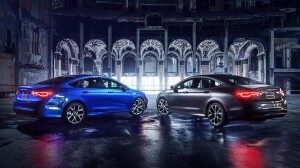 The EPA‘s fuel economy estimates for the 2016 Chrysler 200 range from 28 mpg combined (23 city/36 highway) for the base engine to 23 mpg combined (19/32) for the V6 with front-wheel drive and 22 mpg combined (18 city/29 highway) for the V6 with all-wheel-drive (AWD). Our highway-biased evaluation loop produced an impressive 34 mpg average for the four-cylinder and 28 mpg for the AWD V6, essentially validating the EPA’s findings. The 2016 Chrysler 200 comes standard with antilock brakes, traction and stability control, front side airbags, side curtain airbags, and driver and front-passenger knee airbags. A rearview camera is standard on all but the entry-level LX model. If you’re looking for more advanced safety tech, a blind spot warning system with rear cross-traffic alert is optional on all models except for the LX. On the C, it’s part of the SafetyTec package, which also includes lane departure warning, lane departure intervention, forward collision warning and forward collision mitigation with automatic braking. During Edmunds testing, a 200S AWD came to a stop from 60 mph in 119 feet, a bit better than average for this segment. However, a four-cylinder 200 Limited required a longer 129 feet. 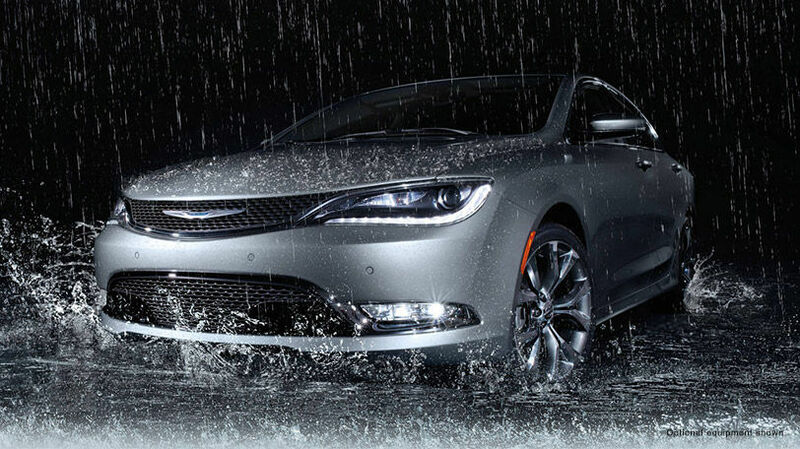 In government crash tests, the front-wheel-drive Chrysler 200 received a full five stars for overall protection, with five stars awarded for both front and side impact protection. In Insurance Institute for Highway Safety crash testing, the 200 earned the top score of “Good” in the moderate-overlap frontal-offset, small-overlap frontal-offset, side-impact, roof-strength and head restraint (whiplash protection) tests. Also in IIHS testing, the effectiveness of the 200’s optional frontal collision warning and automatic braking systems earned a top rating of “Superior.” IIHS also named the 200 a Top Safety Pick +. 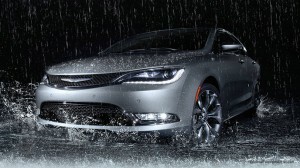 No question, the 2016 Chrysler 200’s thoroughly modern cabin design is one of the model’s highlights. It’s shown off to best effect in S and C models equipped with the optional 8.4-inch infotainment interface. This large touchscreen is intuitive, fills out the dash nicely and complements the automatic transmission’s rotary-style shifter. The real wood inlays in the optional Premium Group package are especially striking, as they feature exposed edges inspired by the iconic Eames chair. Underneath is a large, open storage area with a rubber mat that depicts the Detroit skyline — a nice reminder that you bought American. That said, we’ve also spent time in a Limited model with cloth upholstery and the standard 5-inch audio display. It doesn’t look quite as state-of-the-art, but it’s still a comfortable and functional interior furnished with high-quality materials. All models feature a USB port that strategically routes your power cord to a handy storage shelf in the center console. 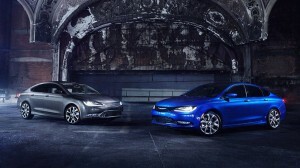 Most people will find it easy to get comfortable in the 200, and Chrysler has provided firmer seat cushions for 2016 in response to feedback from owners of 2015 models. However, the Chrysler 200 has less hiproom than most competitors, so if you’re on the larger side, it may feel overly snug. Also be aware that the 200 offers less rear legroom than most other midsize sedans; anyone over 6 feet tall (or even 5-feet, 10-inches if they have long legs) is likely to find the backseat a tight fit. Sense of space, too, isn’t as good as the class leaders that maximize the perception of room with their more upright roof pillars and less curvaceous bodies. At 16.0 cubic feet, the 200’s trunk offers more space than the Honda Accord, Nissan Altima and Mazda 6. Its 60/40-split folding rear seat also includes a small trunk pass-through that allows longer items to be carried along with four passengers in the car. The four-cylinder version of the 2016 Chrysler 200 isn’t the quickest, quietest or smoothest engine in this class, but most buyers will find it adequate enough for highway merging and passing maneuvers. Still, the V6 is the more desirable choice. It has plenty of power in any situation and never feels sluggish. It’s also commendably quiet for normal highway cruising, yet has a snarly exhaust note when you really get on the gas. If you’re the sort of driver who likes to explore back roads, you’ll likely prefer the 200S model and its sport-tuned suspension, a model that earned a “B” rating from our evaluation team. The setup gives the car a buttoned-down feel around tight turns and makes it one of the better-handling midsize cars in this price range. If you just want to make time on the interstate, though, just go with the standard suspension calibration found in the Limited and C models. The 200’s ride quality isn’t quite as polished and composed as other top sedans to begin with, and the S model is noticeably firmer and not as comfortable, particularly with the 19-inch wheels.